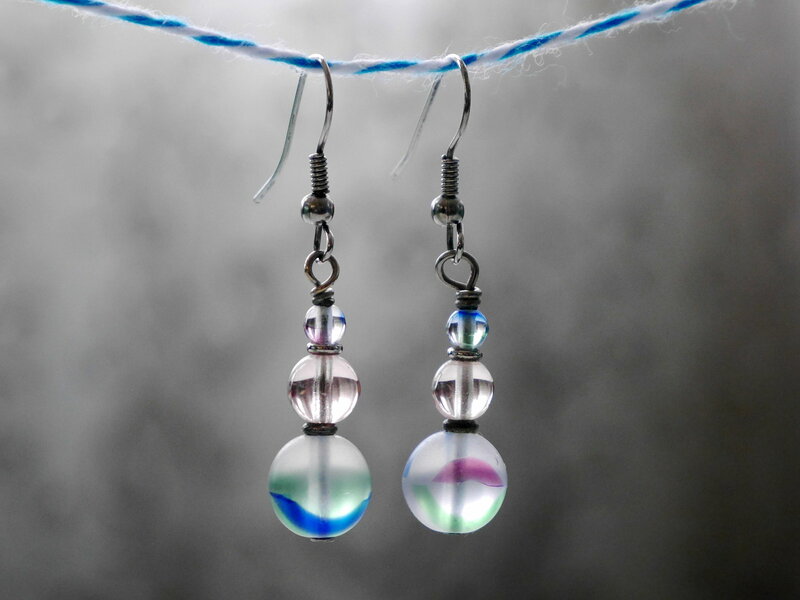 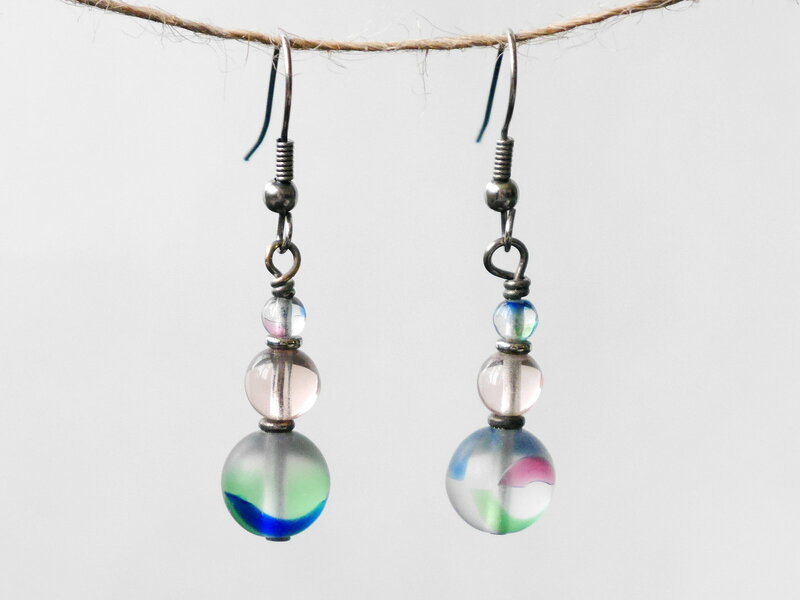 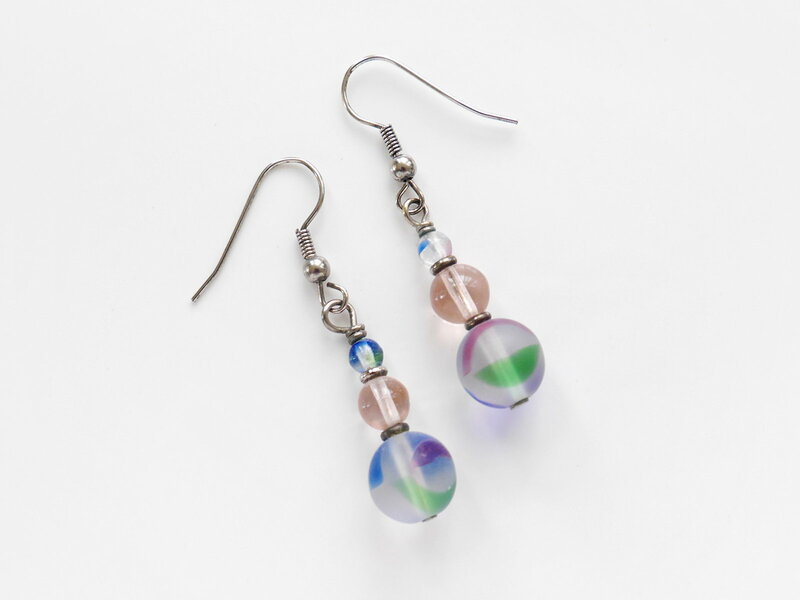 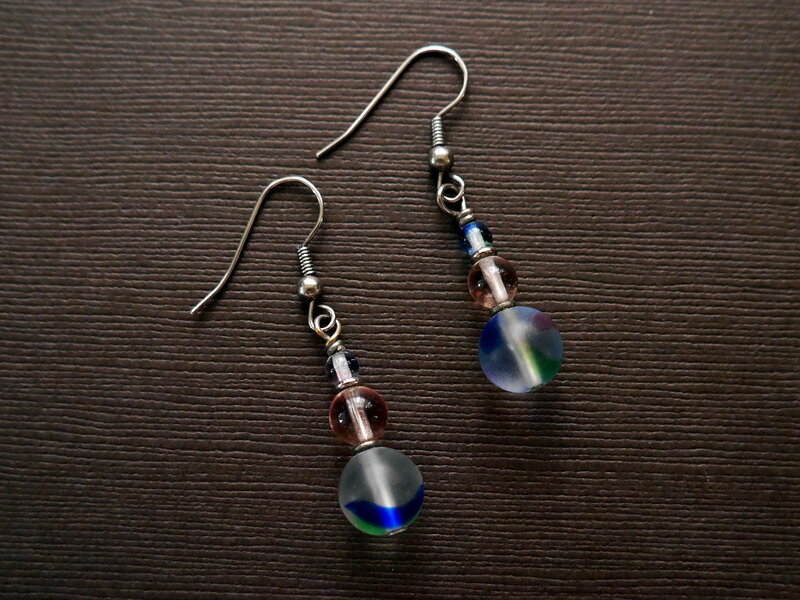 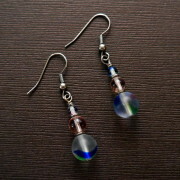 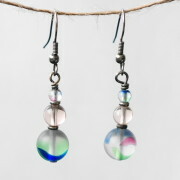 Large and small rainbow glass beads with blue, green and pink swirls are the focus of these stylish earrings. 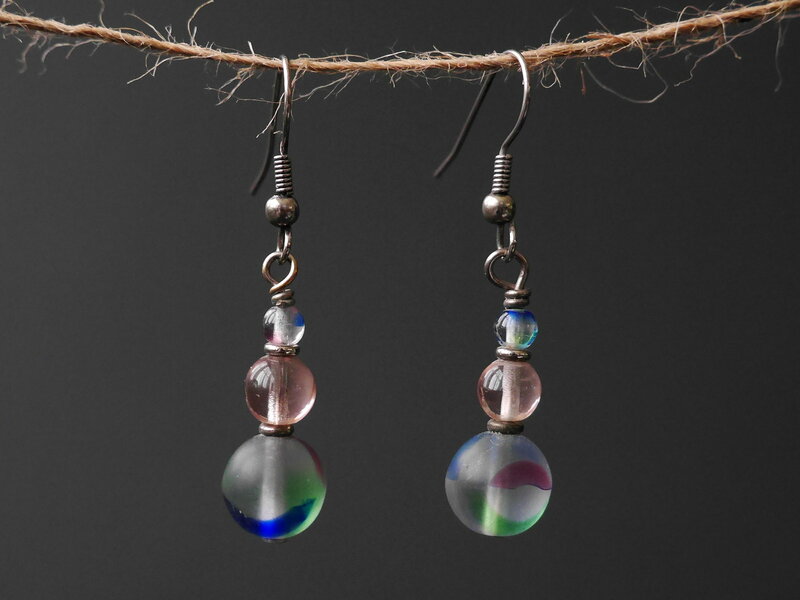 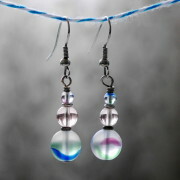 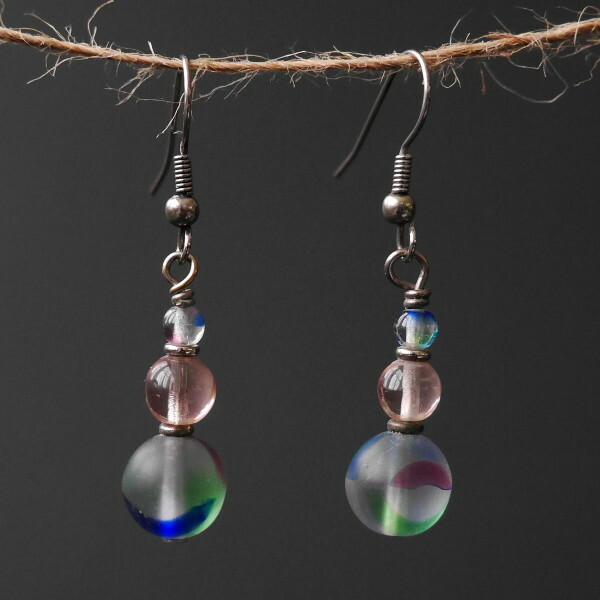 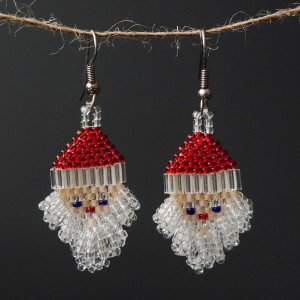 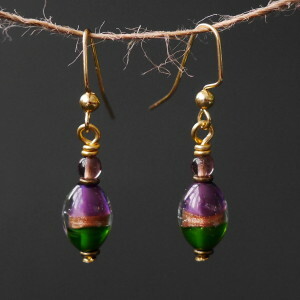 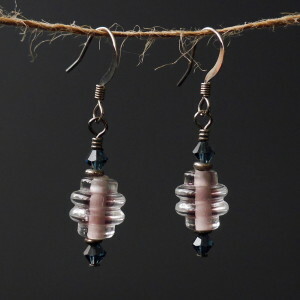 They also feature pink pressed Czech glass beads and silver colored components. 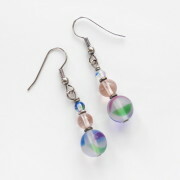 Perfect for everyday wear or special occasions! 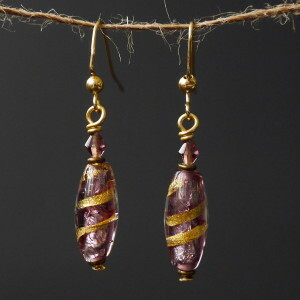 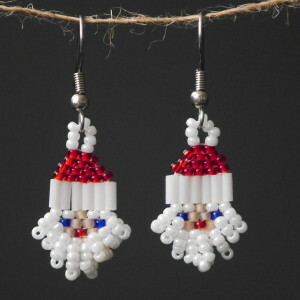 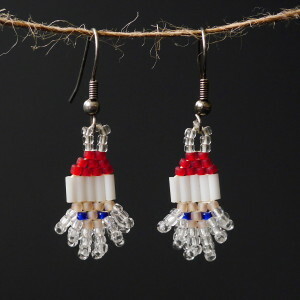 Earrings have a length of about 1 3/4″, including ear hooks.